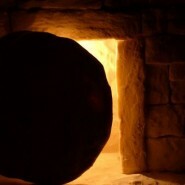 RESURRECTION OF THE CASE REPORT! Typically, a case report intends to share a surgeon’s anecdotal experience of an unusualpresentation of a disease or an unusual outcome or complication of treatment. Apart from its interesting and entertaining value, case reports aim to enrich the diagnosticand management skills of the surgeon. However, an increasing number of orthopaedicjournals have now significantly reduced the acceptance rate for case reports andnumerous others have adopted the policy of not publishing case reports. Apart fromadding to the workload of reviewers and editors who already have to deal with thesoaring number of online submission of original articles, case reports have been deemed as lacking scientific merit and very low on the evidence pyramid. So why a journal solely dedicated to case reports? First, a case report or a technicalnote is a perfect opportunity for orthopaedic residents or consultants who are not wellversed with medical writing to take their first step towards research and publication. The editors believe that this first, relatively simple step of publishing a case report ortechnical note will go on to encourage further interest in research and publication.Second, case reports although considered low on the evidence pyramid act as instruments for hypothesis generation which may point towards a direction for furtherresearch. Third, a rare disease presentation or rare outcomes of treatment act as anexception to the generally accepted rules and norms which will help to broaden theperspective of surgeons. Finally, technical notes will help provide effect solutions tocommon problems encountered during diagnosis and management of a disease. Another aspect of Case reports is their individualism. Most literature is a collective workof grouping together of cases based on specific criterias and then describing amanagement strategy and results for that particular group of cases. Every case may not fulfil the criteria or may have additional compounding factors and thus the managementand results both may vary from case to case. Case reports essentially describe management strategies for such cases which deviate significantly from the norm and cannot be grouped together. Case Reports represent a watershed between Evidence based Orthopaedics and Practise Based Orthopaedics. Many clinical scenarios do not have enough literature to answer specific questions and many results from literature do not yield perfect conclusions applicable to particular clinical scenarios. The Journal of Orthopaedic Case Reports (JOCR) initiated by the Indian Orthopaedic Research Group (IORG) aims to promote collaboration between Evidence and PractiseBased Orthopaedics. Case reports published in this Journal will provide a commonground where both Literature review and Practical experience will be seen to play abalanced role to decide on effective and optimal treatment of the patient. We feel that this description of clinical scenarios and related literature will also synthesise a strong message which will help in generating hypothesis. 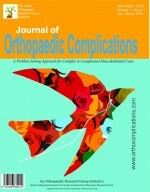 The Journal will provide a platform for orthopaedic surgeons to publish case reports and technical notes which will convey a relevant and useful clinical message. 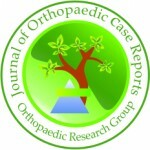 Apart from single case reports, JOCR also aims to publish peer-reviewed case series and technical notes. The editors hope that JOCR will contribute to quality, peer-reviewed orthopaedic literature and achieve all its goal sover the coming years.